Guess who’s back in town? 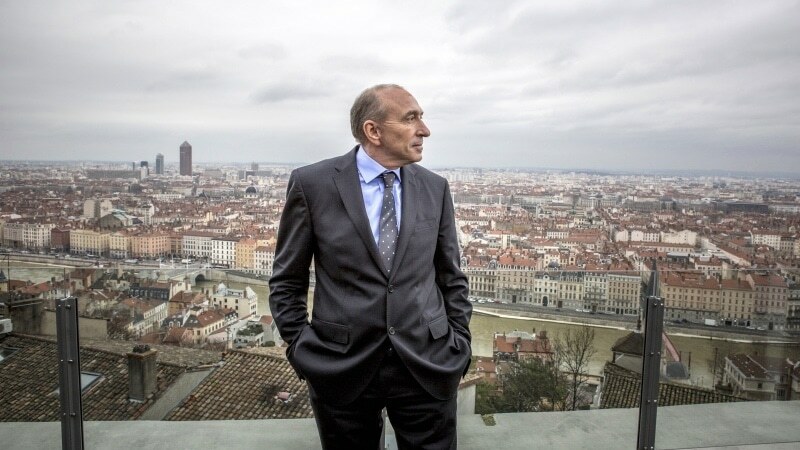 Not very surprisingly, Gerard Collomb announced Tuesday, September 18, that he will run again for Mayor of Lyon in 2020. Collomb, 71, told news magazine L’Express that he will resign as interior minister in 2019 after European elections. “The local elections are still far away — I will run in Lyon if I don’t get diagnosed as seriously ill any time before that,” he said. “I won’t be interior minister right up until the last moment. After a certain amount of time it would be better to be totally free for the campaign,” he said to L’Express. Gérard Collomb previously served as Lyon mayor and president of the Lyon Métropole for 16 years. He won the local elections in 2001, 2008 and 2014. First supporter of Emmanuel Macron, the socialist mayor became Interior Minister under Macron’s new presidency in May 2017. He gave the keys to the city to deputy mayor, Georges Képénékian, surgeon and man of confidence, in charge of the City’s Culture. The mayor of the 4th district (Croix Rousse) David Kimelfeld became the president of the Lyon Metropole, replacing Gérard Collomb. Although he left his functions in the city and metropolis, Gérard Collomb was still very present in Lyon in the past months. “Gérard Collomb’s announcement is no surprise. If he wants to take over the presidency, I will hand over my position to him as I promised”, David Kimelfeld said. dapibus neque. sed consequat. quis, libero vel, libero.